We are a homebrew club that supports homebrewers throughout central Connecticut. 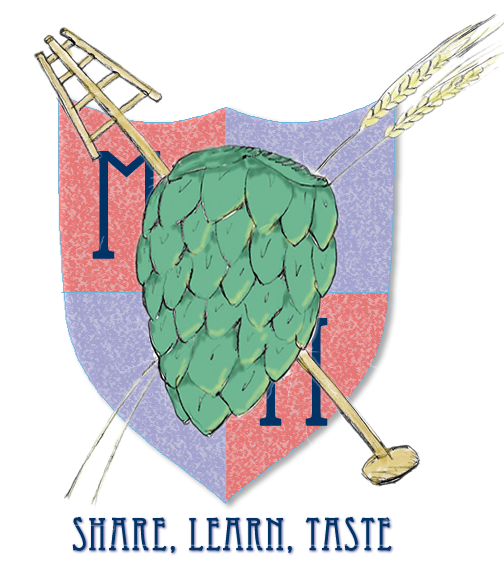 All who are interested (and 21 or older), whether you have no brewing experience at all and want to learn or are a seasoned homebrewer, are welcome to join. No dues are charged for membership and joining is as simple as clicking here and completing the short survey. Some exciting plans for 2019 are being worked out and include regular monthly meetings, informational discussions, club brew-days, brewery tours, experimental brews, a Booth at HomeBrew Con in Providence, RI (June 26-29) and more! Please, give us any thoughts and ideas you have, including venue ideas. The club meets (generally) on the 4th Friday of each month. Our next meeting will be Friday, March 22th from 7-9pm at Brew and Wine Hobby in East Hartford. Anyone interested in attending/joining the group should subscribe to the email group, or contact us. This meeting will feature the style: "Red Ale". We will begin the meeting with home brewed versions of the style of the month, some commercial versions and then open to all other styles for sharing and tasting. As always, all are welcome, longtime brewers, beginners and those looking to get started. Feel free to bring a friend. Cheers! And again, please bring any location suggestions for the Middletown/Central CT area.